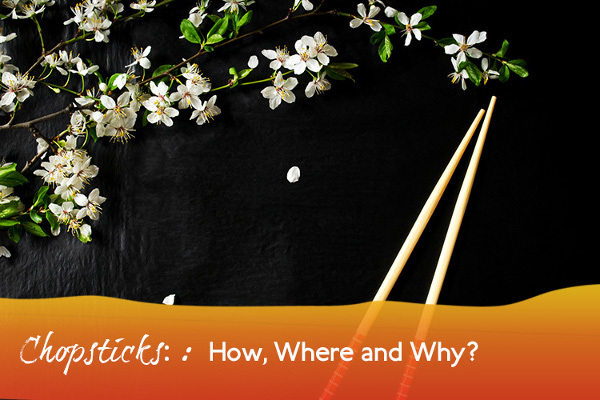 News: Chopsticks: How, Where and Why? From the initial introduction, to their use today, chopsticks are an invention that have barely needed anything more than cosmetic upgrades. There has been little change in the way of design and function. So, where did these eating utensils come from and why are they either the bane of a dinner guest’s existence or a highlight? The earliest examples of chopsticks can be dated back as far as 1200 B.C. They were originally found in the Henan province of China, the same location in which the earliest form of writing utensils were discovered. However, by the 5th century, they had become widespread across Asia, especially in Japan and Vietnam. The rise of chopsticks came about as a result of their popularity as cooking utensils. Long and well-suited to reaching the bottom of pots, it wasn’t long before their use for eating was also discovered. Soon, dishes were being created and cooked to be much smaller and more suited for chopsticks. This trend also matched population booms, which saw a need for both less costly food and ways of living – the chopstick offered both, as food became smaller and needed, as a result, much less expensive oil to cook. Ancient philosopher Confucius is also thought to be behind the widespread use of chopsticks. As a vegetarian, he believed that sharp points at the dinner table evoked images of the slaughterhouse and was much too violent. He held the belief that blunt utensils such as the chopstick were far superior. This soon led to knives being left off the dinner table completely in many homes. It was this idea of providing a content atmosphere at the dinner table – not the violent and warmongering influence of the knife – which ultimately brought the chopstick to the popularity it experiences today. Did you know that when you use chopsticks, you’re actually using around fifty finger, wrist, arm and shoulder muscles? Eating sushi is practically a mini workout! Most Japanese chopsticks are produced in Obama, Japan, with an astonishing 80% being made here. With a population of only 32,000, it is a startling statistic when compared to the billions of chopsticks that are used on a yearly basis, both in Japan and other Asian countries. This equates to around a 1/3 of the world using chopsticks on a daily basis, matching the knife and fork usage easily. One final fun fact with a deadly flavour to it: nobility often used silver chopsticks in Ancient Asia, as it was believed poison would turn the silver black and reveal any nefarious plots! 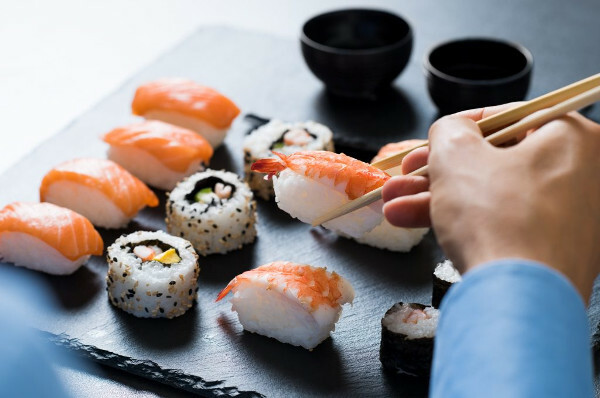 Here at Sapporo, our highly-experienced sushi chefs and high-quality dining experiences are part and parcel to a night here, including the very best chopsticks to enjoy our Japanese Cuisine to the fullest. Get in touch with a member of our friendly team and get a reservation in one of our three restaurants in Liverpool, Manchester, or Glasgow.